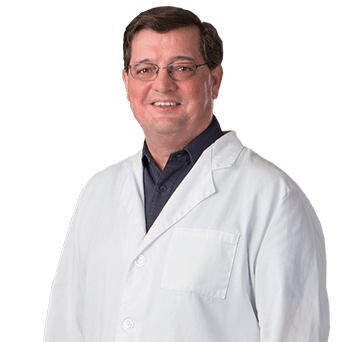 An Ocala native, Dr. James (Jim) Towry attended Truman State University and earned his medical degree at Kirksville College of Osteopathic Medicine, both in Kirksville, Missouri. After completing a residency in family medicine in Colorado Springs, Colorado, Dr. Towry practiced primary care medicine for several years. He then returned to Kirksville to complete a dermatology residency. Dr. Towry practices a wide range of general and surgical dermatology, with emphasis on disorders of the hair, skin, and nails as well as skin cancer, moles, and other acute and chronic skin issues. He is board certified in both dermatology and family medicine.